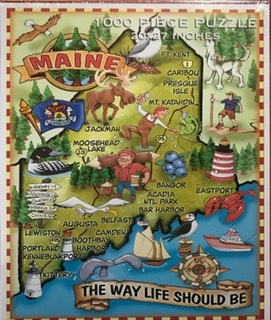 Seven of Maine’s most popular and picturesque lighthouses are highlighted here in our Lighthouses of Maine jigsaw puzzle. 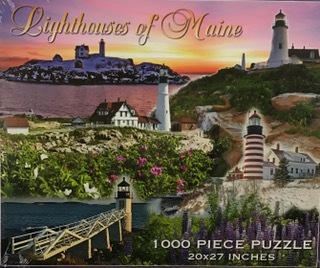 The bright red-and-white-striped West Quoddy Lighthouse and Nubble Lighthouse all lit up for Christmas are just two of the pictures in this collage of lighthouses that make this puzzle not only fun to do, but great to look at when you are done. Other lighthouses pictured in the puzzle are Portland Head Light, Pemaquid Point Light, Bass Harbor Light, and Rockland Breakwater Light.